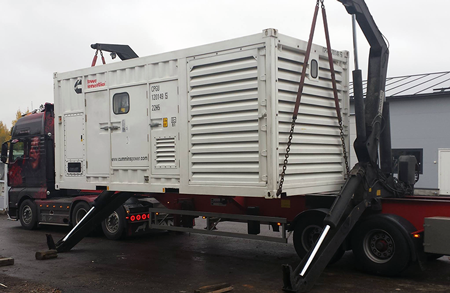 We offer diesel generator and emergency power unit rental as a turnkey service Finland. 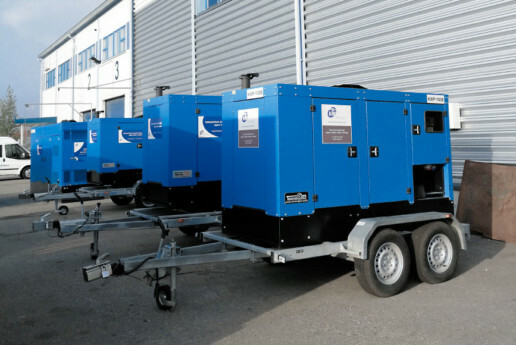 Our fleet of rental units in the over 10 MVA range offer a rapid solution for temporary emergency and prime power needs. We also supply cooling equipment in an industrial-grade container to support the customer’s existing cooling system or as an independent system. Our rental units offer rapid solutions to temporary emergency power needs. 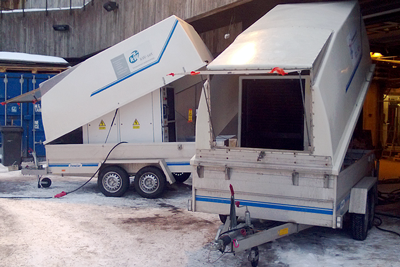 We rent diesel generators and emergency power units as a turnkey service throughout Finland. The enclosed structure of the units enables rapid transport, installation and deployment. The power of individual units is 35–1250 kVA, all units are CE-marked and either have a safety cage or have been installed in a container in Finland. All our rental units have been installed in a container or in a safety cage. Both solutions are well-suited for outdoor use in the demanding Finnish conditions. The units are always tested and refuelled before delivery. The fuel tanks are UN- and IBC-approved for transport, and they also meet the storage requirements (ADR/VAK/UN). In addition to diesel generators, we our rental service includes connection cables, switchboards and fuel tanks, and, if the customer so wishes, we also handle fuel supply, for example. If needed, we also take care of fuel supply during the rental period. Several megawatt deliveries are also available! We rent all cables and switchboards required for diesel generators. Voltages different from 400V can be provided by means of a transformer. We can offer transformers for applications using 500V and 690V voltage. The service life and refuelling interval of the unit can be extended by installing an external fuel tank. All our tanks are ADR tanks suitable for transport use. We rent loadbanks and the required connection cables for testing and verification of emergency power units. We also offer load tests as a turnkey service. Our loadbanks are mounted on a transport trailer for convenient transportation. Several megawatt deliveries are also available! Didn’t find what you were looking for? Ask for more information.